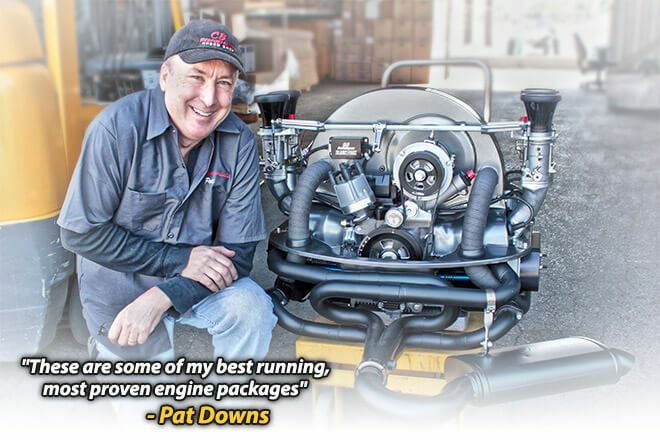 Conceived, designed, and developed by Award Winning engine builder, Pat Downs! The "Builder's Choice" Engine Kits are set up with the novice builder in mind. Easy to assemble with predetermined compression ratio's, connecting rod length, camshaft and cylinder heads. The "Builder's Choice" Engine Kits take all the guess-work out of building your own engine. Each kit is listed with the correct carburetor size, intake manifold, and exhaust type needed to achieve the advertised horsepower output. Never before have engine-building secrets like these been let out to the public! Take advantage from years of engine building experience with the Builder's Choice Engine Kit.